No matter what sort of structure your construction company is building, organization brings a higher level of efficiency. By keeping your operations meticulously streamlined, many problems can be avoided. One of the best ways to accomplish this is through the use of a software management program that tracks all relevant data, allowing managers to make informed decisions that benefit the company. However, not all software is created equal. Here are a few of the things to look for when making your choice. Any good program should have a scheduling page that keeps close track of all jobs to be done and when they are to be done. Without this, it is much harder for the management staff to get a clear sense of the roles that each worker will play. As for estimation, this is equally important if you wish to prevent cost overruns. There are a lot of documents involved in a construction project. There are permits, work orders, supply lists, and a whole lot more. Before computers came along, this required specific people to manage files and folders. Now, it can be automated. With so many documents to keep track of, you really can’t afford not to have this feature. Many of the documents you need are filed with the American Institute Of Architects. As such, it is imperative for documentation and forms to be accurate; otherwise, if they are completed incorrectly, forms will be rejected. AIA software ensures that form submission goes smoothly and documents are filled out properly, so make sure that your program is AIA-compliant. No one can remember everything at all times. Even the most professional of managers can still benefit from a system that keeps them informed of all relevant deadlines. Many programs will include a calendar program with the option to set various reminders. Thanks to the internet, very few computer systems are isolated from one another. Thus, it is essential that your management software does not cause any conflicts with the software used by others. For instance, if one of your employees takes their work home, they should be able to use the program on their home computers with no problem. For this reason, it is good to try and find a program that offers Windows, Mac, and Linux versions. In a piece of complex software that is designed to do many things at once, there is little doubt that customer support will be needed to some extent. Make sure that the company you buy your software from has a good record for customer service and a helpful attitude when contacted. You may even consider faking a problem just so that you can gauge the service of the company. It may sound shady, but it does no harm and also helps to let you know what kind of service to expect. You should also research the company’s history of defect removal. 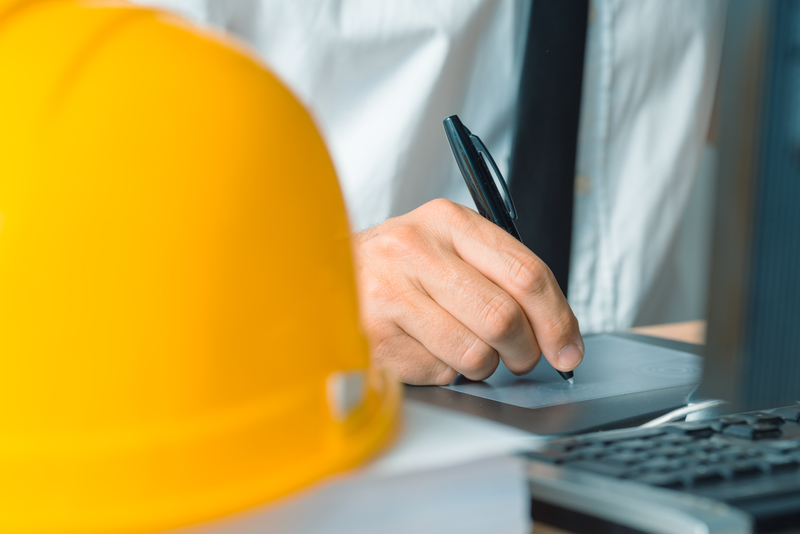 Make sure you look for all these qualities when shopping around for your construction management software program. Each of them is essential if you are to get the maximum benefit for your money. If you need help, guidance, or are looking for full service construction management, then Pride One Construction is there for you. Workplace accidents make up a large portion of personal injury incidents, and the construction industry is one of the most affected. Individuals working on building sites are exposed to a range of risks from falls to machine injuries. Construction companies, project leaders and contractors who are responsible for work sites should prioritize the safety of workers and everyone who has access to the sites. The industry has various health and safety standards that are designed to protect workers. A comprehensive safety management system will incorporate these regulations with other site-specific protection measures. Implementing strategies for a safer workplace, however, is not always easy and it helps to have a guideline. Developing an action plan is the first step toward transitioning into a safer work environment. 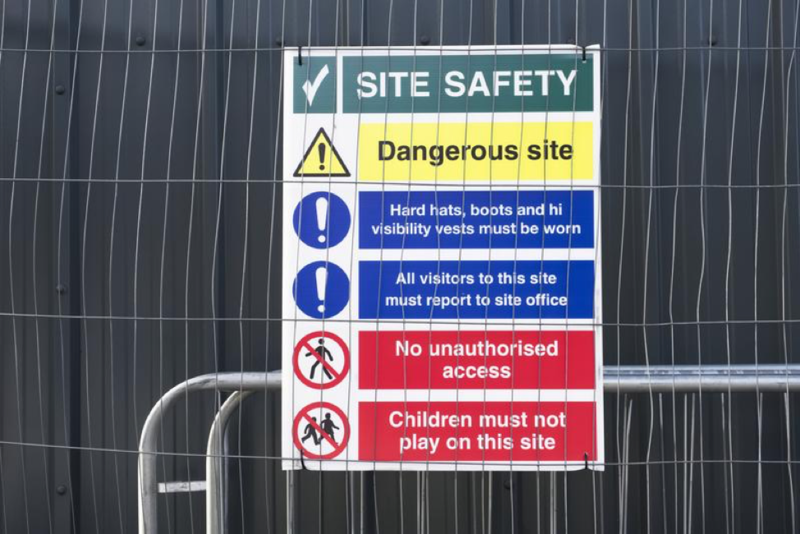 Although some health and safety measures may be standard across the sector, an employer has to consider the specific threats in a particular setting. For this reason, a thorough assessment is required to identify the risks that employees and non-employees have to deal with. Understanding the hazards makes it easier for a company to come up with a safety plan that addresses them. A safety plan includes protocols that eliminate or control the risks that people are exposed to. After creating a blueprint for the identified safety risks, an employer must then develop policies, procedures, and processes for the activities that demand a safety system of work. At this stage, a company must lay out the recommended safety behaviors for workers, the expectations of the employer, and incident reporting. When creating safety policies, one must factor in the equipment used, the location of certain activities, and the task itself. For example, if the task involves working from top heights, then the safety processes should include fall protection and the use of fall arrest systems. The third part of implementing a safety strategy is training. Regardless of the level of risk that employees and non-employers face, everyone should be well educated on how to minimize or eradicate hazards. A company must implement a safety training system so that people can learn about the general rules of the enterprise. They must also train on the work rules for a specific environment and the location. Different activities will carry varying levels of risk, and that will determine the content and depth of the training program. Proper training ensures that individuals not only know how to avoid accidents but also to respond appropriately when something happens. Monitoring and Reporting are critical parts of transitioning into a safer work setting. It is not enough to identify the risk and set protection measures. Employers must keep an eye on the safety systems in place. In some work environments, risks can evolve as a construction project advances, and that means the safety standards may have to change as well. Monitoring safety systems ensures that they are being followed. Reporting allows a company to know the state of safety systems and if they are working. Some small businesses lag behind in forming and executing safety systems because they fail to grasp their importance. The most obvious reason for a safe work environment is to reduce the risk of injury. Construction sites have various hazards that can cause serious and sometimes fatal harm. Falls are some of the most common threats. When workers are operating from high positions, there is always the dangers of falling if the right protection measures are no provided. Falls also result from tripping over materials scattered around a site and malfunctioning equipment like cranes and elevators. The use of heavy machinery can also cause severe injuries particularly if operators are not well trained. Collapsing materials are hazardous as well because they can land on people on the ground. The legal implications of failing to institute an actionable safety plan can be devastating for an employer. A good number of personal injury lawsuits stem from workplace accidents. 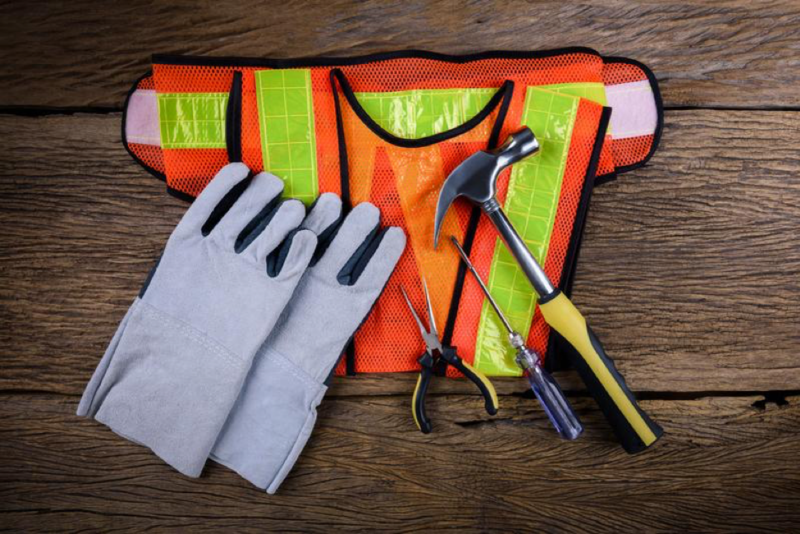 If an employee or non-employers suffers injuries or other damages on a construction site because the responsible parties did not set up the necessary protections, then the victim may sue. Employees or customers who have wrongfully experienced an injury on the job will have the right to pursue compensation, and might do so regardless of the fees and charges that personal injury lawyers charge. Legal troubles can cripple a business or individual financially, not to mention the ruin caused to the reputation. A workplace with poor safety will also be very expensive to insure. Enacting policies to protect workers can bring down a contractor’s insurance premiums considerably. Construction companies, contractors and other players in the building industry must give workplace safety the attention it demands. Employers and employees must understand the responsibility they hold in ensuring a safe working environment. A company must create an effective safety plan and know how to implement all its tenets to benefit everyone involved. If you’re looking for any sort of construction, whether it be commercial, hotel, industrial or otherwise, we’d love to be in contact with you and see how we can help! According to The Balance – Small Business, whether a property that you own is occupied or not, it is your responsibility to make sure that it is properly secured. If a person gets hurt while on the premises, he or she could file a personal injury or premises liability lawsuit. How do you know if you are properly securing your properties? First, make sure that your tenants have renters insurance, whether it’s their own or a policy through your property manager. 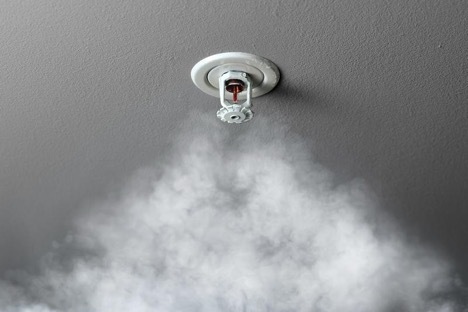 This helps protect you from liability in case the tenants’ belongings are destroyed in an accident. You will also want landlord insurance to help protect you from major issues that could turn your investment into a drain. If someone lives or works in a apartment complex, commercial building, or other property that you own, make sure to have a secured entrance. This should consist of doors that only open after a card is swiped or a password is entered. Furthermore, whoever accesses your building should have the chance to change a password or deactivate a key card at any time. It may also be a good idea to have a reception area that a person must enter prior to getting into an apartment or commercial office. This makes it easier to keep track of anyone who enters the property. If anything happens while that person is on the premises, you can determine if he or she was allowed to be there and if a tenant was responsible for ensuring that person’s safety. If a vacant property is being remodeled, there could be large equipment or other valuable tools left after work is done for the day. This could make it more likely that a person would want to come onto the property. It could be especially tempting for young children to enter a premises to try to ride a tractor or play games with friends in a setting where they think no one is watching them. In addition to a security camera, a locked gate or a no trespassing sign can be used to limit your liability. 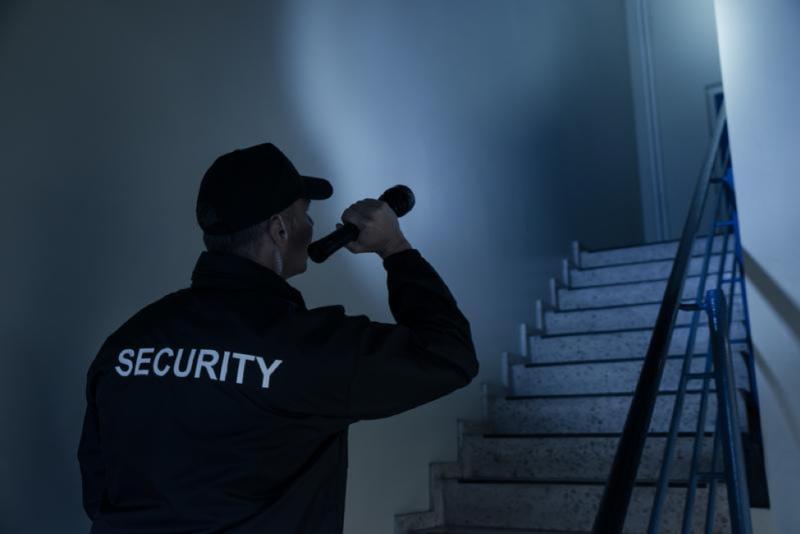 Whether your property is occupied or not, it is critical that you provide security for it. Doing so can either prevent a lawsuit from occurring or reduce the chances that you are found liable for damages if one is filed by an injured person. If you have a vacant lot that you have been keeping secure for awhile, talk to our professionals to see what your options are for profitable buildings to grow your investments.